I have an exciting news to share with you all today! 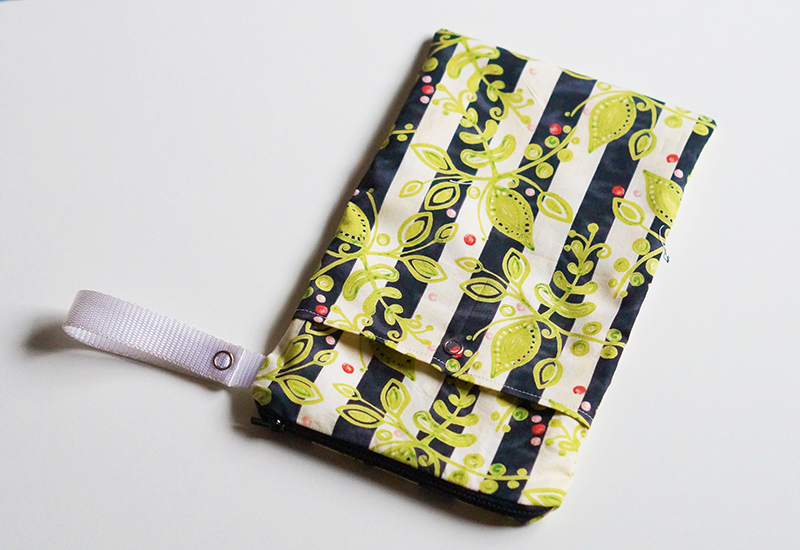 I have introduced two new items to my shop that mama cloth pad users will find very useful. 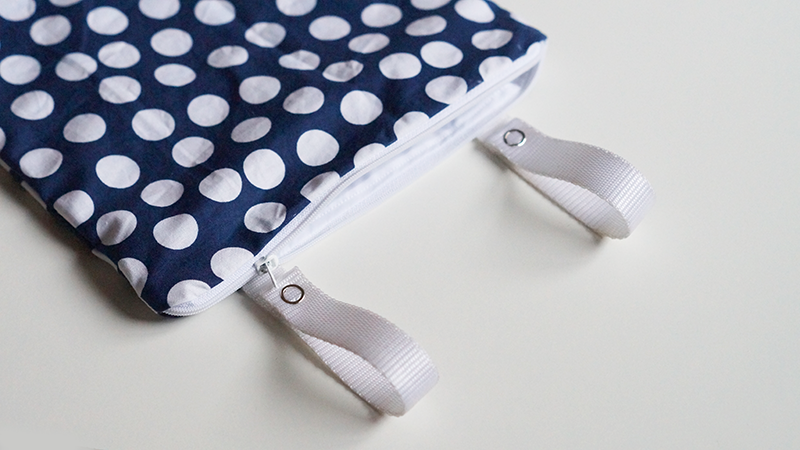 These gorgeous small zippered hanging wetbags feature two snap handles so that you can hang the bag from anywhere you want, your stroller bar, or toilet roll in the bathroom, etc. Zippered top seals in all the smells! ~ lining and outer fabric are sewn separately to help prevent wicking through the seams. Also, there is an extra row of stitching along the top of the lining to prevent it from getting snagged in the zipper. Use these bags to collect mama cloth pads, family cloth, lingerie, napkins, make-up cloths etc! A must have in any earth friendly room. Care is simple – wash with your regular laundry. Hang to dry. Currently I have the bag available in a gorgeous bubble dots in navy background print. But I have more prints in stock and upon request I can make them in any print you like. Please comment for details. Sophisticated and compact! These stylish water proof bags feature a large pocket to carry your small wet items, as well as features a front dry pocket to carry clean items. 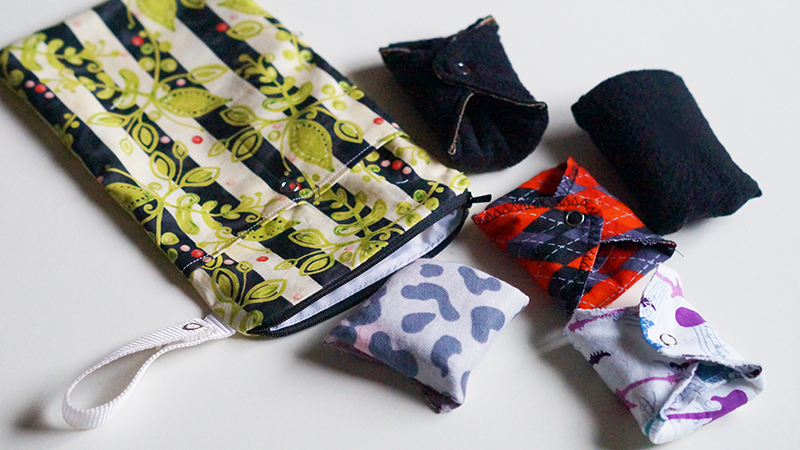 They are a perfect size to throw in your bag or purse. 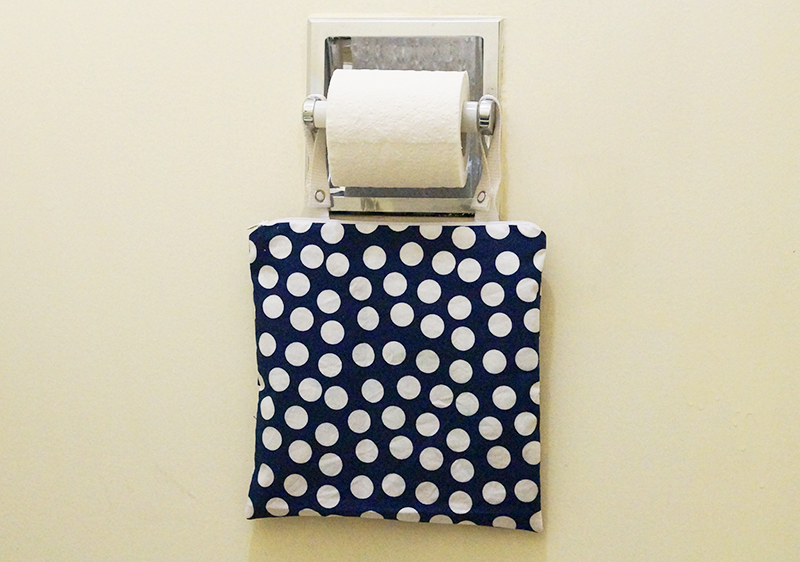 Great for either cloth or disposable diapers and wipes. Keep smells and moisture in. Care – wash with your regular laundry. Hang to dry. Everything is handmade with love in Canada in a smoke and pet-free environment. I get very excited when I discover local Canadian source for fabrics, that carry affordable as well as fun and fresh fabrics! My search led to Double Decker fabrics. Dorienne is the owner of this store, located in Alberta, Canada. 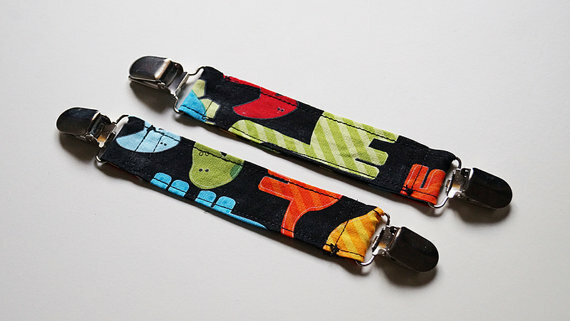 They specialize in modern organic and cotton fabrics for sewing, crafting and quilting. She lives along with her husband and four children on an acreage. They like to go on nature walks, raise hens for fresh eggs, and make memories. Dorienne is a fabric lover. Please check out the shop! Also, feel free to use the coupon code: OMEE10 at checkout to receive a 10% off discount. I’ve got some new items in my Etsy shop. If you have kids and you live in a place where it is cold, then this is a winter MUST-HAVE! 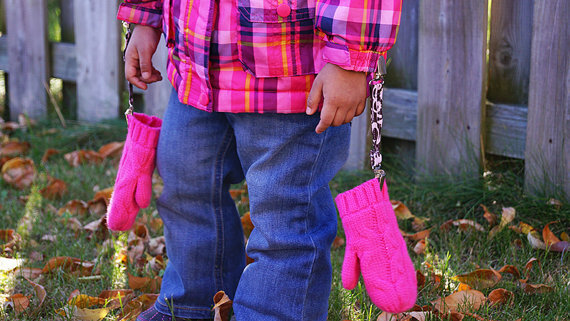 I am constantly losing my childs mittens everytime we go out. So my solution: my handmade Mitten Clips! 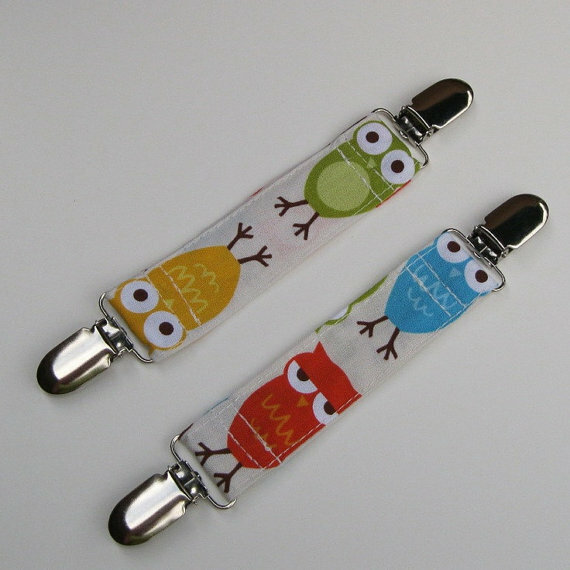 These durable and fun mitten clips keep your child’s mittens clipped to your child’s coat when out and about. One side clips to the sleeve of their coat, and the other to the mitten. Perfect for school age kids and babies. They are made using two layers of gorgeous 100% cotton designer fabrics for strength and structure, they will not fray or tear apart. 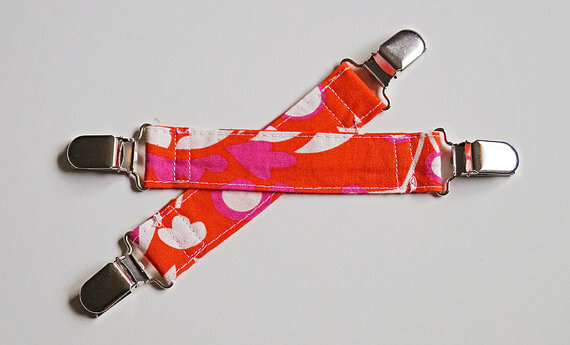 The lead free clips have plastic teeth inside for easy and gentle attachment to clothes. Hand or machine wash. Hang or lay flat to dry, do not use dryer. Like any other baby accessory, you should not your child unattended while using this product. I LOVE organic fabrics. They are my new favorites. I have recently bagan to use organic fabrics and currently baby to toddler bibs and baby carrier drool pads are available in organic fabrics in my shop. 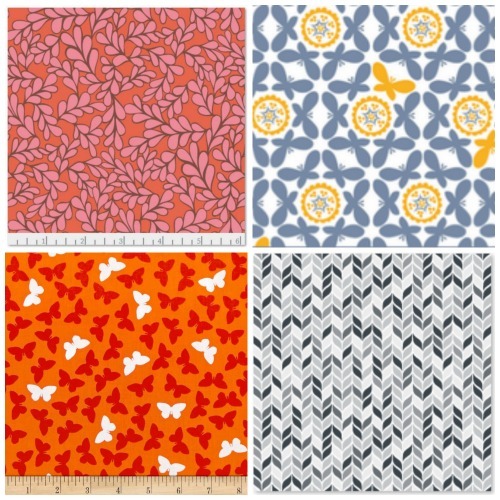 My search for sources of organic fabrics led me to this amazing store – Organic Cotton Fabrics. 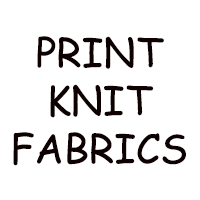 They provide ready to ship 100% organic cotton supplies like wovens, kints and notions for sewists and are located in the US. They are certified under the Global Organic Textile Standards and committed to fair labor and sustainable materials. If you are not aware what Organic cotton is and what are their benefits, they even have a page on their website dedicated for just that. They also have a sale section and they keep updating their store with new products all the time. I also recommend that you go visit their testimonials page, they have such amazing feedback! They also have free shipping on orders over $50 to US. I LOVE all their fabrics and the beautiful selection they have. Please do visit them and show them some love!